New for Spring 2017 - We are now offering Equine Wellness Packages! Very similar to our dog and cat packages, our equine packages will look at the age and needs of your horse over the course of one year. All the services will be discounted by 10% and the total can be divided into 12 equal monthly payments. If the plan is purchased in full, an additional 2% will be deducted. An added benefit to this plan is a 5% deduction off all services and medications performed during the year of the wellness plan. Everything in our basic wellness but for horses not previously vaccinated this will include a set of vaccine boosters as well as a second mobile fee. Everything from the Gold Wellness plan but for horses not previously vaccinated with Vetera Gold, this plan includes the boosters as well as a second mobile fee. For more information or any questions regarding these exciting new packages, please give us a call! From Coggins sampling to vaccines, foaling assistance, hoof care and more, all of our vets provide equine medicine. Emergency care is available to our clients in the Niagara and Haldimand regions 24 hours a day, 7 days a week. Give us a call and ask to speak to Cortney at the farm desk for an appointment. During the winter months, we host an informative evening discussion for our equine clients. We invite leading professionals in the industry to come and speak at these events. The vets are available for questions as well. 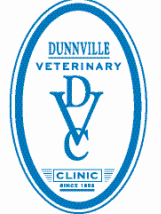 ​We have a portable digital x-ray unit that allows our vets to take x-rays and develop them right on the farm. Diagnosis of problems such as lameness can be done in just minutes. Our mobile ultrasound can help diagnose pregnancy and other conditions.